What an absolute bargain, it costs just £28 for the year and you can buy your family and friends railcard here! The facebook page is really worth a visit for all sorts of offers and competitions and it’s this particular competition I want to tell you about. All you have to do is upload a photo (of anything) taken by your child..you then turn it into a postcard with their postcard generator app and that is it, you are entered. Easy peasy and takes mere moments but closes on January 9th so do get your skates on. The prizes is a fab Merlin pass worth £450 with lots of runner up prizes too. Little clicks for big prizes what are you waiting for! Good Luck! 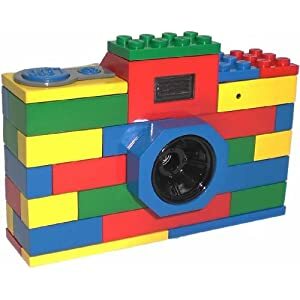 The lovely PR for this competition sent my son this ace camera to capture his photo postcard …isn’t it fab. We also got train tickets to a destination of our choice. We’ll post a postcard from there telling you all about our train trip very soon. Lego Digital Blue LG10002 Digital Camera (3MP) I almost wish I had a funky Lego Camera too! How cool…he loves it!